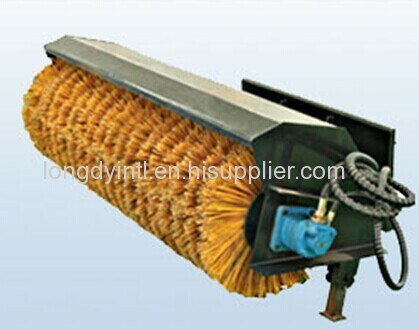 Longdy Angle Broom is our self-developed skid steering attachment fit Bobcat, Case, Terex, Catpillar etc world famous brand machines,and we can provide OEM and Customized products according to customer's drawings and requirements. We were the first manufacturers of skid steer loaders and attachments in mainland China. We have got CE certificate, Russian Gost certificate, Chinese government ICQ certificate and ISO9001 certificate. 7 production lines and 260 employees allow us to build 3000 attachments each month. Some of our parts are sourced from the US, England, Italy and Japan for added quality and reliability. We confident in our products and we offer a one-year warranty with each attchment. We are good at packing design to help customer reduce packing and transportation cost. Our attachments have been exported to about 40 countries or regions covering European Union,Western Africa, Australia, South East Asia, Middle Asia and North America.